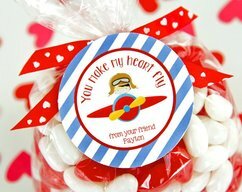 This listing is for a High Resolution Valentine's Day Editable PDF file. Print as many as you need at home or at Office Max, Kinkos, Costco, Staples etc. Best if printed on 65 lb cardstock or on full sheet label paper. Purchase the listing and once payment has cleared you can download your PDF files with in a few minutes. 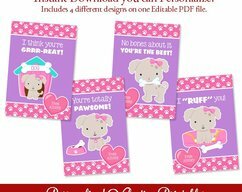 Open and Edit your Valentine Tags PDF file yourself in Adobe Reader. 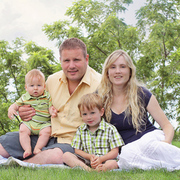 Print as many as you need at home or at a print shop like Office Max, Kinkos, Costco, Staples etc. 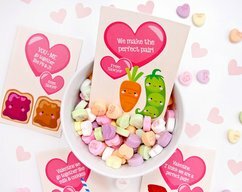 print them, cut them out or circle punch them (to see examples of the sizes and how they look please look through the pictures in the listing) and send them into school for your little one to hand out attached to a Valentine classroom treat! 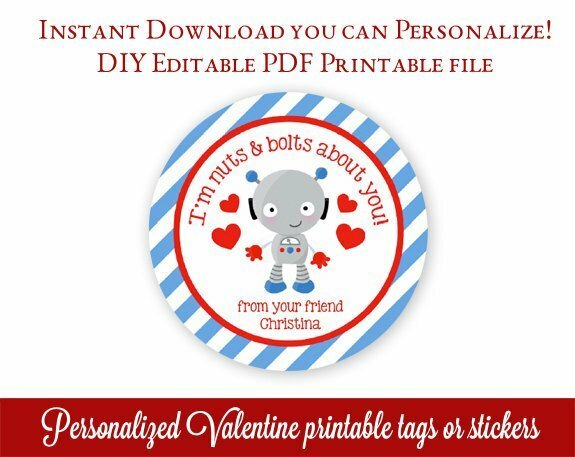 PLEASE NOTE: This listing is for a Valentine Printable digital file you will not be sent any physical items. Due to the nature of the product all sales are final. FOR PERSONAL USE ONLY you may not sell these in any form printed or digital or give them away attached to a product you sell. ONLY THE BOTTOM LINE OF TEXT IS EDITABLE - COLOR IS NOT EDITABLE. If you have questions or need help please feel free to email our shop.